Although I had never heard of Bono’s Elvis poem before reading about it in the newspaper, it evidently has been around since Bono recorded it near the end of an interview over a decade ago. The article says it was reprinted in an Elvis fan magazine a couple of years later. 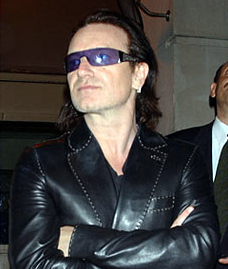 Bono (born Paul David Hewson in Dublin, Ireland, in1960) is best known as the lead vocalist and lyricist for the Irish rock band U2. Personally, I’ve never gotten into U2’s music, but I have appreciated Bono’s outspoken praise of Elvis’s musical influence through the years. In a 2004 essay in Rolling Stone, Bono recalled his first contact with Elvis at a young age. That last observation brings us back to Bono’s poem, written nine years before his 2004 Rolling Stone essay. “Elvis ate America before America ate him” is a line from “Elvis: American David.” The 661-word poem is certainly not Shakespearean stuff, but it obviously came from the heart. Every one of its 108 single line stanzas begins with the word “elvis.” It’s a mish-mash of biographical statements; Elvis song titles and lyrics; and expressions of Presley’s continuing influence on culture and rock music. 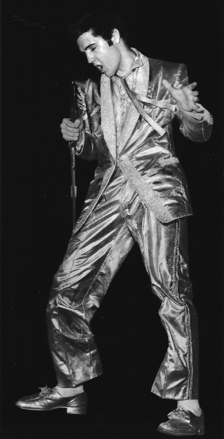 “elvis wore a gold nudie suit and trained his lip to curl. The most interesting passages in Bono’s poem, however, involve figurative images—metaphors and contradictions that capture the essence of Elvis. Below are just of few of the poem’s thought-provoking lines. 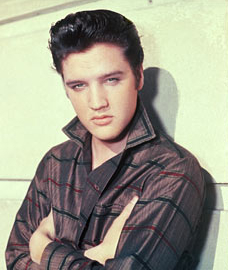 elvis broke lisa marie’s heart. Bono's poem will never qualify as a classic, but as a high-profile and respected advocate of Elvis Presley’s legacy, Bono deserves the appreciation of all Elvis fans. 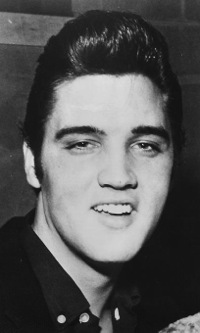 When he speaks of Elvis’s continuing influence, it can’t help but cause many in the music business’s younger generation, who have never felt a connection with Elvis, to at least sit up and take notice. Bono closed his “Elvis: American David” with the following three lines. "I was barely conscious when I saw the ’68 comeback special, at eight years old—which was probably an advantage. 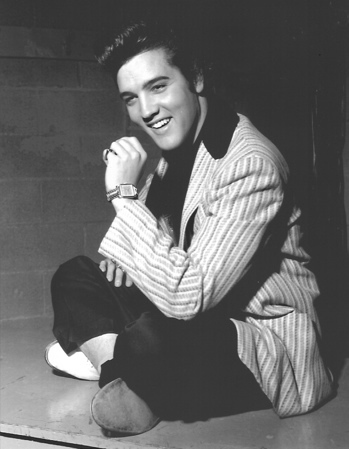 I hadn’t the critical faculties to divide the different Elvises into different categories."